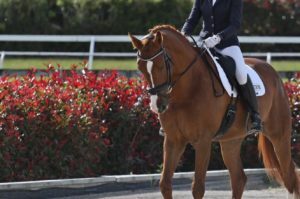 These 5 specific stretches will help improve your dressage riding. If you really want to improve your biomechanics and imbalances on the horse, this is where these specific stretches will benefit you. Often riders don’t realise the impact their imbalances can have on their horse. When ligaments get tight and stiff they lose their range of motion. They get matted and glued together and affect the way your body moves. When it comes to stretching in general, too often I see people just doing token stretches here and there. That sort of stretching might make you feel better mentally, but it’s not actually making progress to free up your ligaments. To improve your body’s range of motion, these stretches need time. To allow the muscles and ligaments to really let go and free up, you need to hold these stretches for a decent period of time, a minimum of 2 minutes per stretch. These stretches aren’t necessarily pleasant either. But when I do them my body responds and I always ride and move better after having done them. So if you are wanting to improve your riding or just your general posture, try these specific 5 stretches out below and notice how it makes you feel. Do them all daily before you head off to bed or before you go for a ride and notice your rider biomechanics improve over time. This stretch is one of the most beneficial stretches you can do. If you were to do just one stretch, I would suggest this one. Start with your back foot on the ground and place a cushion under your knee if needed. Then as your range of motion improves, place your back foot up on a couch, chair or table. Be sure to tuck in your pelvis and brace your core so you are not arching through your back. Hold this for a minimum of 2 minutes each side. This stretch is amazing for mobility through your hip joints. The Hindu Squat is also great for your digestion and detoxification pathways. Often runners don’t put their limbs through a full range of motion which can cause their achilles tendon, hamstrings and lower back to tighten up. It’s important to ensure your body keeps it’s full range of motion to help improve your running. If you can’t get down low, hold onto a table edge. Then do it daily for at least 2-5 minutes and notice how much you improve. These muscles get incredibly tight from sitting down for long periods. 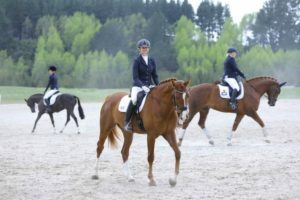 Keeping your hips healthy and mobile is super important for dressage riders. They play a crucial role when you are dressage riding and keeping everything aligned, so you want to work on this stretch also. This stretch will also help improve your Hindu Squat. You may notice to one side tighter than the other. Start by keeping your foot flat on the floor and push your knee out and your hips down. As you improve let your foot move onto its side and you can come down onto your elbows and hold. Most runners will know where their ITB is because this is often a problem area and can affect your knee alignment and often leads to knee problems when it gets too tight. Hold this stretch for 2 minutes each side and notice how it frees up your knee as well as your hips. This is also great for getting into your ITB as well as your hips. More gentler than the one above, so begin here if need be. Great to help loosen up your glutes and bring more mobility through your hips and lower back too. Hold for 2 minutes at least each side. 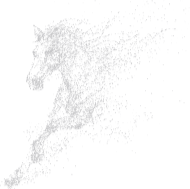 Then download the FREE Dressage Rider Fitness Guide that will give you the exercises & stretches you need to do to improve your riding specifically for dressage.